The Arts-and-Crafts era was championed by anti-industrial English designers and writers. Here are five gorgeous properties that embody this decorative movement. Inspired by socialist principles, the Arts-and-Crafts movement was championed by anti-industrial English designers and writers, such as William Morris and John Ruskin, who wanted to see a return to well-made, handcrafted goods. The movement used simple decorative forms, often inspired by medical, romantic or folk styles, and flourished in Europe between 1880 and 1920. If you don’t know about it, you probably should have paid better attention at school. 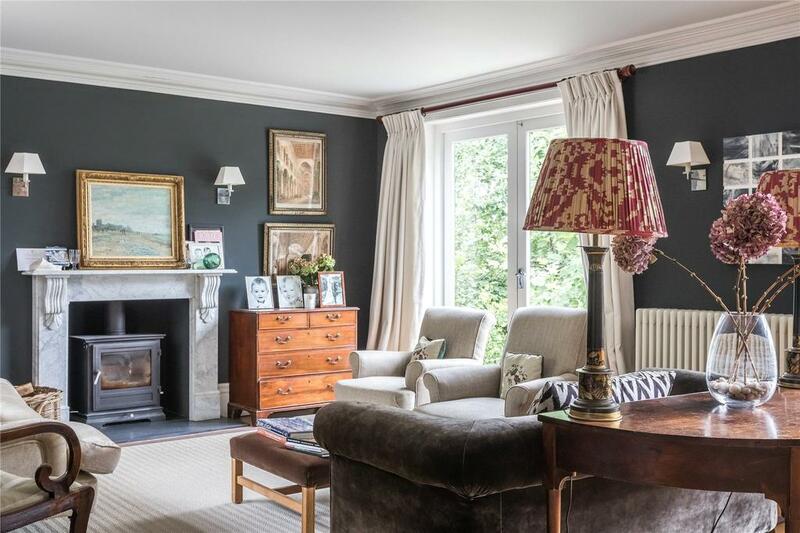 Deep in the Itchen Valley, with views across water meadows to the South Downs, the garden at Edwardian Norton House, in the village of Shawford, near Winchester, runs right down to the river, where the owners enjoy canoeing, swimming and fishing. 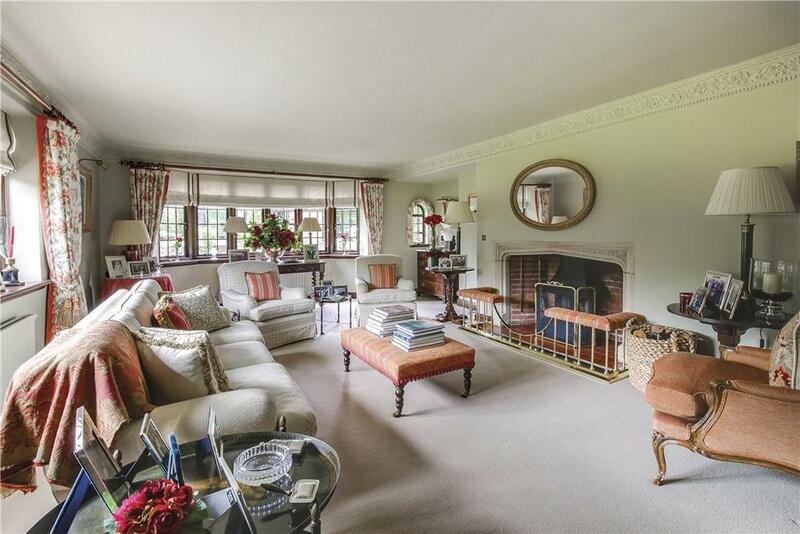 Elegantly extended in recent years to include a magnificent drawing room with a log burner, there are five bedrooms and oak floorboards throughout the ground floor. On the market via Savills – see more pictures and details. 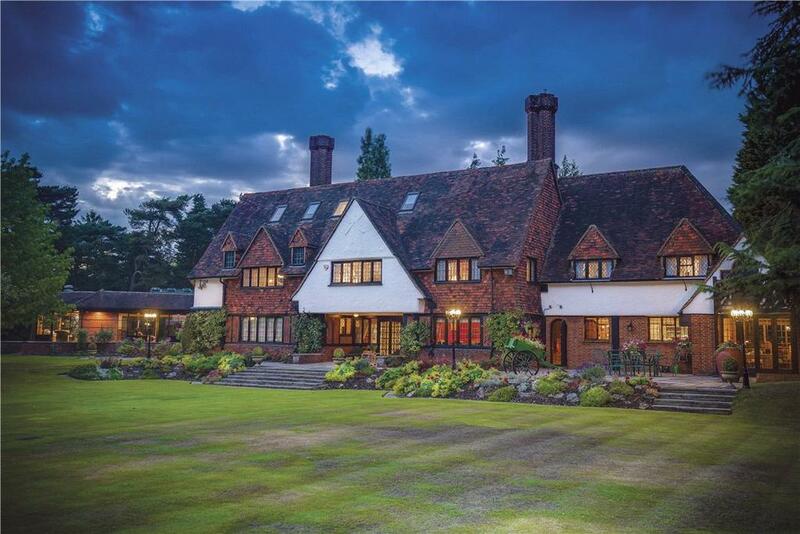 Amid the low, chalk, folkloric Gog Magog Hills sits a Grade II-listed ‘master-piece’ by William Flockhart, Scottish architect and influential player of the Arts-and-Crafts movement. Near Great Shelford, the imposing building – which includes a Gothic tower and dormer windows – is now divided into three parts. 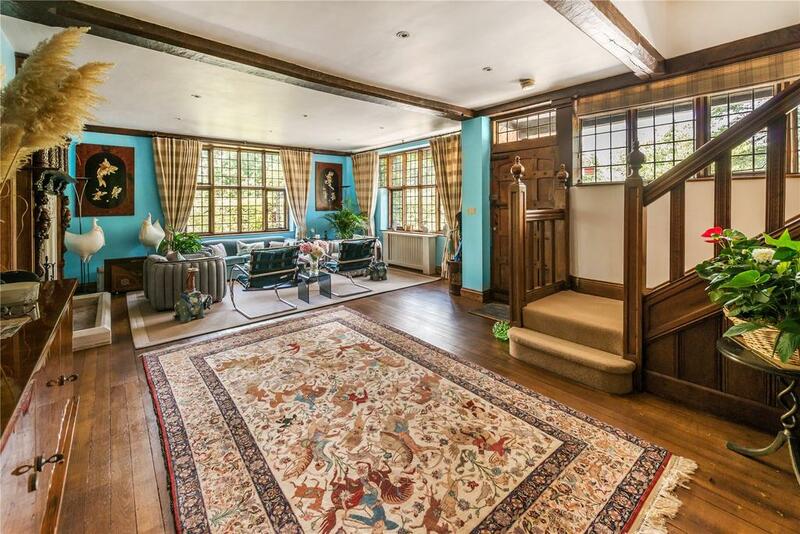 One of these, four-bedroom Galewood House, is now for sale and incorporates a Flockhart-designed 5ft-wide front door, an imposing entrance hall and a series of period features, including original fireplaces and staircase. 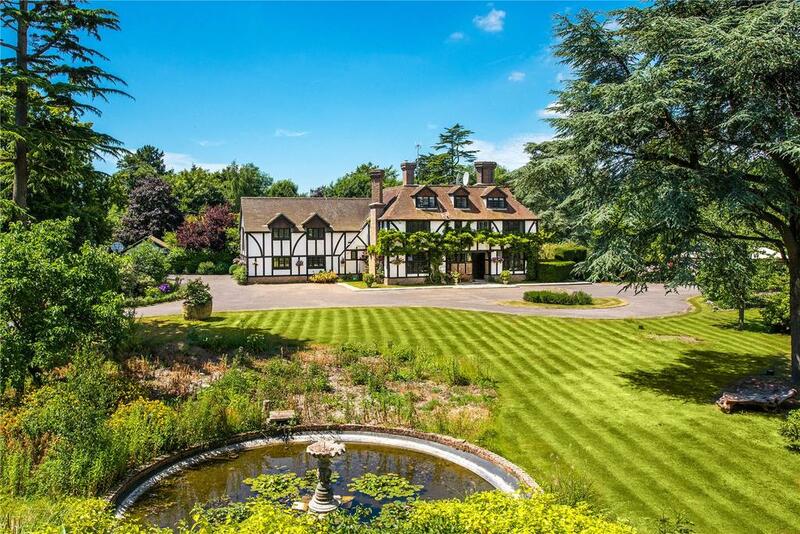 It comes with almost two acres of gardens as well as a pond ‘set in a secret woodland enclave’. On the market via Cheffins – see more pictures and details. A delightful timber-framed Tudor-style house of the Arts-and-Crafts era, Hambrook Hall has six bedrooms, six bathrooms and dormer windows. Not far from Chichester, its four acres of gardens contain a lawn-tennis court and outbuildings. On the market via Strutt & Parker – see more pictures and details. The grounds at aptly named Windmill House, in the village of Arkley, are presided over by a Grade II*-listed windmill that is irresistible. The interior of the house is bright and immaculate; there’s also a tennis court and two lakes. A three-bedroom cottage and barn are available separately, but the main house has five bedrooms, a large indoor swimming pool and oak beams throughout. On the market via Knight Frank – see more pictures and details. 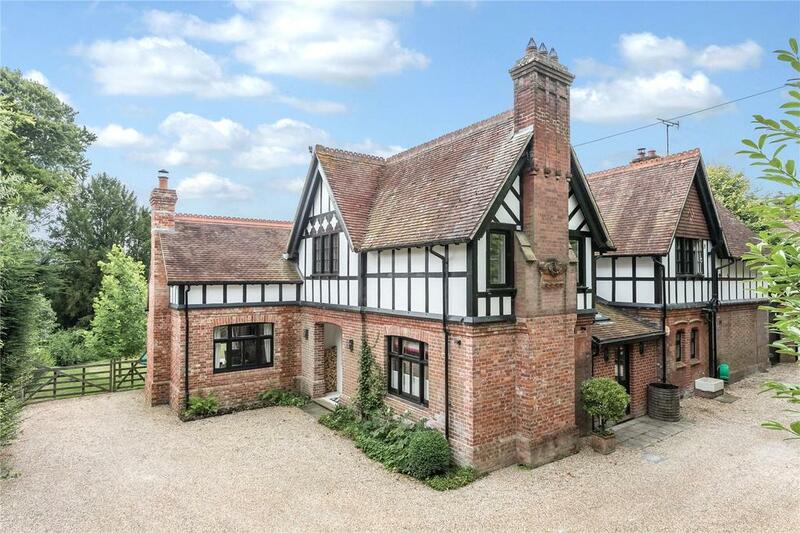 Built in 1933 in the Arts-and-Crafts butterfly style, charming Trianglewood, in Herringswell, just seven miles from Newmarket, has four bedrooms, a lovely red-brick fireplace, oak floors and exposed beams. 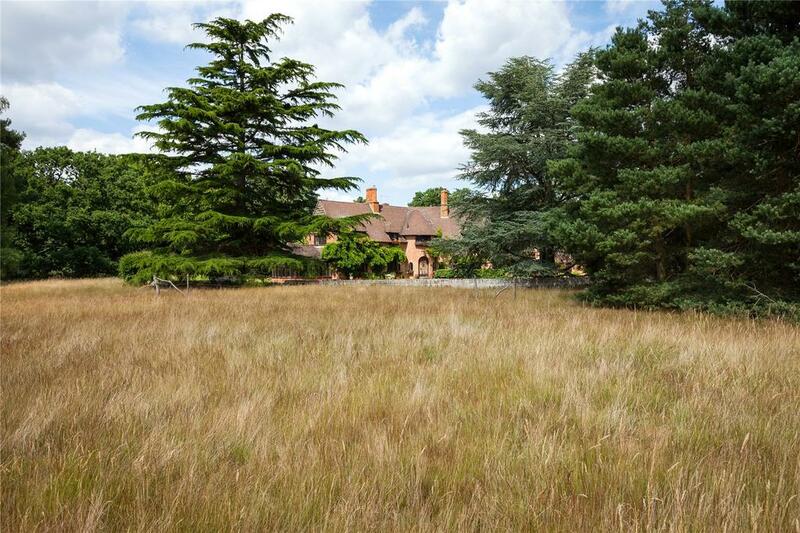 The accompanying 33 acres of land contain two cottages, woodland, a pond and paddocks. On the market via Jackson-Stops & Staff – see more pictures and details.